The USD50 million revitalisation of Fiji’s largest stand-alone meeting and conferencing facility, Shangri-La’s Fijian Resort & Spa, Yanuca Island, has been unveiled, setting a new benchmark for destination MICE in the South Pacific. 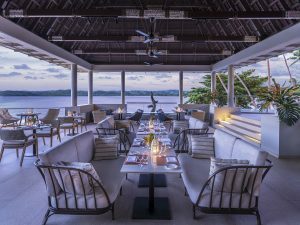 A world-class dining makeover upgrade across the resort’s MICE facilities and the establishment of an exclusive adults-only precinct are signature elements of the renovation, capitalising on its private island location within a 50-minute drive from Nadi International Airport. Originally built in 1967 to unlock the Fijian Coral Coast’s Yanuca Island to the world, the resort is spread across more than 100 hectares of private island, connected by a causeway to the mainland and providing a Fijian island experience with ease of access to the Coral Coast. 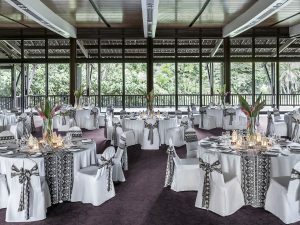 The resort is unique in Fiji, with three large indoor meeting spaces, as well as a variety of indoor and outdoor breakout spaces that can be reserved for exclusive use by MICE groups. With 443 bures, suites and rooms, it is also the only private-island resort in Fiji that can house groups of up to 750 residential delegates with full buy-out of the island for exclusive use by the group. Smaller-scale boutique events are also a specialty with bespoke experiences and activities available. Every one of the guestrooms, which command unhindered water views of either the ocean or the lagoon, has been upgraded during the refurbishment. A significant portion of the USD50 million investment has been committed to establishing Shangri-La’s Fijian Resort & Spa, Yanuca Island as one of the best places to eat and drink in Fiji. It will set a new benchmark for exceptional culinary experiences in the South Pacific. Executive Chef Rudolf Kunkel has established an international and local team within the seven standalone restaurants and bars across the resort, each with their own culinary themes. His personal commitment and effort has ensured more than 75 per cent of all meat, fresh produce and seafood served at the resort is sourced locally. Takali Asian Kitchen – an Asian fusion concept restaurant perched above the reef and incorporating Malaysian, Thai, Cantonese and mainland Chinese influences on dishes conceived by Chef Chee Hoe Wong, paired with more than 40 craft gins from around the world. Golden Cowrie Coastal Italian – led by Italian Sous Chef Bruno Bettinazzi, who hand-makes the soft cheese and pasta, which are the foundation of this premium dining experience, and delivers a quality of Mediterranean dining not seen before in Fiji. Black Marlin Tropical Bar – first established more than 50 years ago and the subject of legendary party tales, it has been reimagined as an upmarket tiki bar featuring more than 100 rums sourced from around the world, kept company by the resorts own signature small batch label, Yanuca Rum, distilled locally and exclusively for Black Marlin patrons. The dedicated MICE spaces include an 800-square-metre Pavilion, 650-square-metre Ratu Makutu Event Centre, 260-square-metre Davui Hall and close to 2,000 square metres of pre-function and event lawn space, which are central to the resort’s conference and event offerings. The resort is also unique in that it has its own onsite Fijian cultural space, Marau Village, with a permanent fire-walking and fire-dancing stage area leading to a separate village event space for authentic cultural experiences. The sheer size of Shangri-La’s Fijian Resort & Spa, Yanuca Island allows for conference groups to remain completely separate from other guests, with a variety of indoor and outdoor spaces to ensure every itinerary is diverse and exciting. The main MICE facilities are directly opposite the Ocean Wing, which can be booked exclusively for conference groups. As a result of the refurbishment, more than a quarter of the island has been dedicated to the new Reef Wing private adults-only precinct, the largest in Fiji. This includes an exclusive infinity pool where complimentary sunset drinks and canapes are served daily, Reef Bar & Dining focusing on a wellness menu and oceanfront Reef Bures offering a premium, adults-only resort-within-a-resort experience. Groups can also take advantage of the resort’s Peter Thomson-designed nine-hole golf course, the secluded CHI, The Spa and the many other resort facilities, which include three pool areas and beachside dining spots, such as Beach Bar & Grill and Bilo Bar. “This has been a truly transformative programme that will re-establish Shangri-La’s Fijian Resort & Spa as one of Fiji’s best destination resorts, and set new standards for meetings and events held in Fiji,” Mr Lee said. 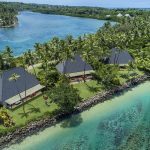 “The two years we have spent reimagining one of the original resorts in the South Pacific for today’s visitors to Fiji have been spectacular. It’s been a collaboration involving our staff, many of whom have worked across generations of guests, to deliver an experience that is authentically Fijian at its heart. Shangri-La’s Fijian Resort & Spa, Yanuca Island is the only private-island destination resort accessible by road from the main island of Viti Levu. It is a 50-minute drive from Fiji’s main international airport in Nadi; meaning, guests can be settled into their rooms and swimming in the lagoon within 90 minutes of disembarking their plane.